While most of the small and medium business owners would rather hire one full-time employee than two temp employees, sometimes we need more hands on a project. Your customer may have requested rapid delivery, there may be a requirement which may not arise in the future, or you simply don’t have funds to manage a full-time employee. In such situations, temp staffing is a good option. You can get an experienced professional, save some money, and not think about the training of these employees. What Is Temporary Staffing In India? It is a payroll system, in which employees are hired on a temporary basis through a staffing agency. This employee is usually not on your payroll, as all the compensation and benefit related matters are handled by the company outsourcing this service. The major reason organizations go for temp staffing is reduced hassle, immediate hiring, and on-demand services. Let’s see what are the other reasons why you should prefer temporary staffing in India. Why You Should Try Temp Staffing? Why would you want to incur long-term expenses and hassle when you can simply hire a temp staff for short-term work. If you have a short-term project which doesn’t have year-long regular requirements, you can hire a temp staff for a short duration. The flexibility you get in terms of hiring is excellent, as you can get temp employees anytime you want and most of the times, even on short notice. You don’t have to spend time finding these resources, the temp staffing agency will do it for you. Since these employees are hired on contract, you can let them go whenever project requirements are delivered as promised. What are the requirements of managing a full-time or permanent employee? You have to hire a permanent employee on your payroll, which means an extra cost of salary, deductions, taxes, incentives, health insurance, sick leaves, paid leaves, etc. Further, there are other incurred costs for employee management, training, and personal growth. 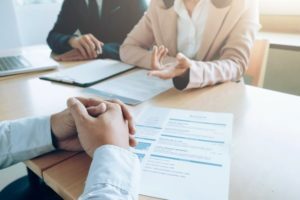 Moreover, your HR department additionally requires resources if you have to hire a permanent employee every time you receive a short-term project. Temp staffing can help resolve all these! One of the best benefits of temp staffing is that you can hire experienced professionals. For startups and small/medium enterprises, hiring permanent employees with a high expertise is too costly. Obviously, these employees require a handsome salary package, other benefits, and incentives. Hence, to avoid the cost, most of these companies often settle for an inexperienced employee or a fresher. But, with temp staffing, you can hire employees with high expertise on contract. This is extremely helpful when you have specific requirements raised by your client and you absolutely need someone who is skilled in the specific area. Businesses make hiring mistakes all the time, as there is simply no way of knowing the efficiency of an employee before working with them. Reversing this mistake is a costly affair. You lose a lot of money in lost work hours as well as additional resources in finding a new employee. However, temp staffing gives you the flexibility of changing the employee anytime you want. Usually, it is included in the contract that if the efficiency, productivity, or deliverables are not up to the mark, you can ask for another resource. It is not possible for small and medium enterprises to do a background check on every employee. But, this is an easy and possible task for a temporary staffing agency in India. They may have already pre-screened the employee before sending the resource to you. In fact, you don’t even have to specify this requirement separately as most temp staffing agencies perform this action by default. Temporary employees are used to working in different settings and environments. Hence, they will adjust in your office environment quickly. You won’t have to follow an orientation process as this employee would rather prefer going to work immediately. Since these people work for the temp staffing agency and not you, you don’t have to prepare paperwork and ensure compliance. The agency will handle everything and you only need to think about your work requirements. Let’s face it, all of us can use some extra time in a day to complete other tasks. Activities such as hiring, management, training, and payroll management eat a lot of our time. When these activities are removed from the picture, small organizations can focus on other important business tasks. Further, since temp employees are designated to a particular project, they would rather prefer completing the work at earliest. Hence, these employees would stretch and do some extra work every day, which will also save you time. When Should You Consider Temporary Staffing? Many organizations constantly face the dilemma of hiring permanent employees or temp staff. They have regular short-term requirements, for which they keep hiring permanent employees. This, of course, is a costly affair. Check out when you should opt for temp staffing. You have regular unpredictable demands. Your orders are fluctuating or you are yet to decide a specific field of work. Due to unpredictable demands, you may have a lot of employees, all of whom may have medium or beginner level expertise. But, you need skilled professionals with wide experience for certain projects. Unpredictable demand can also arise in the form of urgent requirements by the client. For instance, your client suddenly asked for a Java developer but you know hiring one with good experience would take time. So, you hire a temporary employee instead. In every office, sometimes, there are requirements for irregular jobs such as online research, data entry, etc. Although any employee of your company can do this job, they may not prefer completing it because it can lead to low productivity. You can hire temp staff for these works for a very short duration. Once the work is complete, you terminate the contract as discussed upon signing of the contract. Sometimes, when you are short on cash, you can hire temp staff for many job roles. This is an ideal scenario for a new startup or fresh small business. Initially, you can use all the extra money and saving some money in hiring is like finding a treasure. Hence, temp staffing may seem like the best option in such a situation. In fact, many startups vouch for this method of hiring in the starting stages to save money, time, and still have experienced people on deck. Generally, you have time for recruiting a new employee, as you know your work requirements beforehand. But, sometimes, you may come across a situation when there is absolutely no time to spend on hiring or interview process. Then, you can immediately contact a temp staffing agency to fulfil the needs at earliest. For instance, a client has immediately asked for some changes in the website but your developer has recently left. You are still in the process of hiring a new employee. But, then, you realise there is no time. In such situations, temp staffing can fulfill your urgent hiring needs. Many times, our permanent employees go on long leaves. The most common example is expecting parents. They may take a long break from work after the birth of their baby. However, that should not mean that work has to stop. You can hire a temp staff for this duration to fill in the position of the employee on leave. This will save you from hiring another permanent resource and help you fulfill client demands with ease. Every company is made by the team working behind the computer screens to efficiently execute tasks. However, having an inexperienced team or all freshers on board may not bring about the desired results. Further, delaying work or spending extra money because you can’t find a permanent employee is an excuse no client will cater to. The only solution to all these issues is temp staffing. You can hire employees quickly, the work turnaround is fast, and the efficiency is high. If you also want to hire temporary staff in India, contact PaySquare for more details. With 17 years of industry experience, PaySquare can offer end-to-end staffing services along with salary processing and compliance management. Check out the website for more details.